Gaming on the Mac is terrible, right? That has been the consensus among gamers for a decade-plus—Ars even declared Mac gaming dead all the way back in 2007. But in reality, the situation has gotten better. And after Apple dedicated an unprecedented amount of attention to Mac gaming at WWDC 2017, things might be looking up for Mac gamers in the coming years. When Apple announced new Macs and a major update to its Mac graphics API at this year’s developer conference, there was an air of hope amongst Mac gamers and developers. Gaming on a Mac may look more appealing than ever thanks to the introduction and gradual improvement of Apple’s relatively new Metal graphics API and a better-than-ever-before install base. On top of that, discrete Mac graphics processors have just seen some of their biggest boosts in recent years, VR support is on the way, and external GPU enclosures promise previously impossible upgradeability. So gaming on the Mac is improving, but is it good or still terrible? Are we on track to parity with Windows? Speaking to game developers who specialize in the Mac about the state of Mac gaming in the wake of WWDC, Ars encountered plenty of optimism. Still, there’s plenty to be cautious about. In gamer communities on forums and Reddit, Mac gaming is often the subject of jokes and snarky comments. Again, such snark was not always without justification. There just weren’t many good games on the Mac for years. Nevertheless, a few companies have continuously worked to fill the niche. Two in particular emerged as leaders in the marketplace—Aspyr Media and Feral Interactive. Aspyr was founded way back in 1996, originally as a retail distributor. The porting aspect of its business came later, with the first game it ported in 1998—Eidos’ Tomb Raider II. Feral got started in 1996, too. And in addition to the Mac, Feral has ported games to Linux and iOS (it plans to expand to Android in the near future). “We’ve dealt firsthand with all the big changes to the platform that have taken place over the last two decades,” Edwin Smith, Feral’s head of production, told Ars. He cited changes like the advent of dedicated graphics processing units (GPUs), the move to a UNIX-based operating system, and the transition from the PowerPC processor architecture to Intel. PowerPC-based Macs in the ’90s and early ’00s used a different processing architecture from the Windows PCs for which most games were primarily developed. It didn’t help, either, that Microsoft’s Direct3D (part of the DirectX suite of APIs) became the industry standard graphics API. The cross-platform OpenGL API used in Apple computers struggled to keep up in the meantime. And frankly back at that point in time, Macs weren’t very popular, so the audience was small. It was abundantly clear to gamers that the Mac was not a competitive platform in the PowerPC days. Players using today’s Mac offerings live within a different landscape. Things became much rosier over the past decade for a number of reasons. First, there was the switch to Intel. By adopting the same architecture used in most Windows PCs, Apple moved the Mac out of a software engineering wasteland. 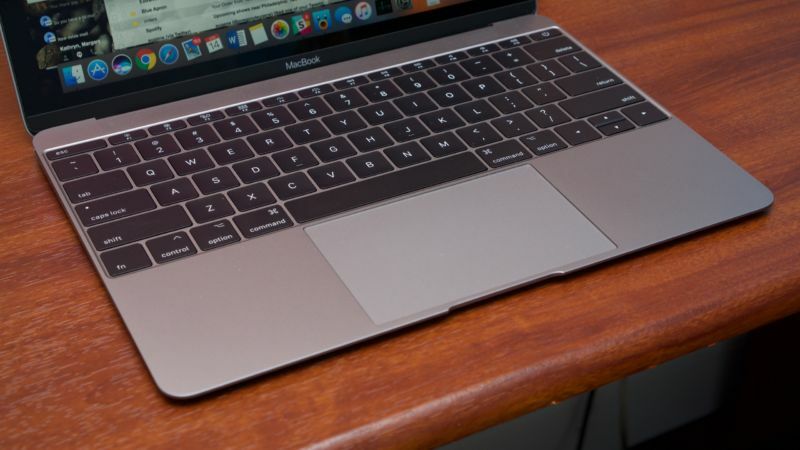 Second, Mac sales figures grew significantly at the same time. According to data aggregated by Statista, 3.29 million Macs were sold globally in 2004. By 2015, that number had reached more than 20 million. “Apple today sells in a quarter what they used to sell in a year, so the total market opportunity has grown from what used to be normal,” Elizabeth Howard, vice-president for publishing at Aspyr, told Ars. The hardware situation looked better, too. Macs enjoyed what Howard called a “halo effect” from the previous generation of consoles. The Xbox 360 and PlayStation 3 remained gaming hardware standards for nearly a decade—longer than many other console generations. That longevity allowed the Mac’s laptop-grade graphics hardware to catch up to this industry standard. Finally, Howard and Smith cited the shift to digital distribution. While this was disruptive and concerning for the industry at first, it turned out to be a major boon for Mac-centric gamers. And all this has made the Mac a more vibrant gaming platform than ever before. Mac games have a substantially larger addressable market, the economics of scale are more favorable, and for a while, the hardware was in a sweet spot. With plenty of great games available on the Mac, gamer snark has been looking less and less applicable in recent years.